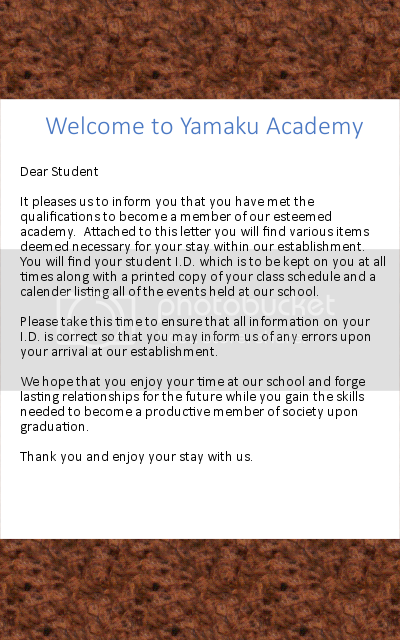 You are a student of Yamaku Academy. Is this your first year here or are you a returning student? Either way the first thing that you will notice is that many of the students have some form of disability. This can range from anything internal such as a heart defect of some sort, to something external of various degrees. The external are the most varied ranging from a body covered in scars to not having certain limbs entirely, if not something else. As for the students without an obvious disability, please keep in mind that not all of the students are disabled. There are some students that come to this school simply to learn from the staff. 1. No god-modding or power-playing. 2. Exceptions to the power-playing rule are made when express permission has been granted. 3. Romance is encouraged, but keep it PG-13. Even the game had the option to remove the adult content. I'm choosing to click that box. 4. Keep fighting to the OOC or between yourselves via PM and VM. If a fight goes on too long, you will be asked to move to PM and VM as a warning. If fighting in the OOC continues beyond that, expulsion letters will be handed out. In other words, you will be kicked out of the RP. 5. Language is allowed, but keep it under control please. Even the game didn't use a lot of foul language. 7. There are limited spots available, so this is first-come-first serve. 8. The genders shall be equally divided. I do this because if I did it any other way, to make all happyish endings possible, two or more would have to be homosexual. 9: If you want to play a teacher, I will save that for in case there are more than 8 people that want to join. 10. BE LITERATE!!!! I don't want to see text speak. ...Unless your character is actually speaking through text on his/her phone. 11. Put, "I try to see pass the outside." at the top of your template to show that you read these rules. Aside from the fact that I know several people like to play in Romance RPs, I decided to do this as a bit of an exercise to help people out in general. It's become far too common to play characters that are overly strong, so I decided on something to make people play something that has a weakness. I know from experience that it's actually quite fun to play someone that is say blind. So please, think outside the box with your character and make them truly unique. Name: What are you called? Please put your alias in quotation marks. Grade: Make this match your age. It seems skipping grades is not allowed in Japan. Class: A for First Year, B for Second Year and C for Third Year. 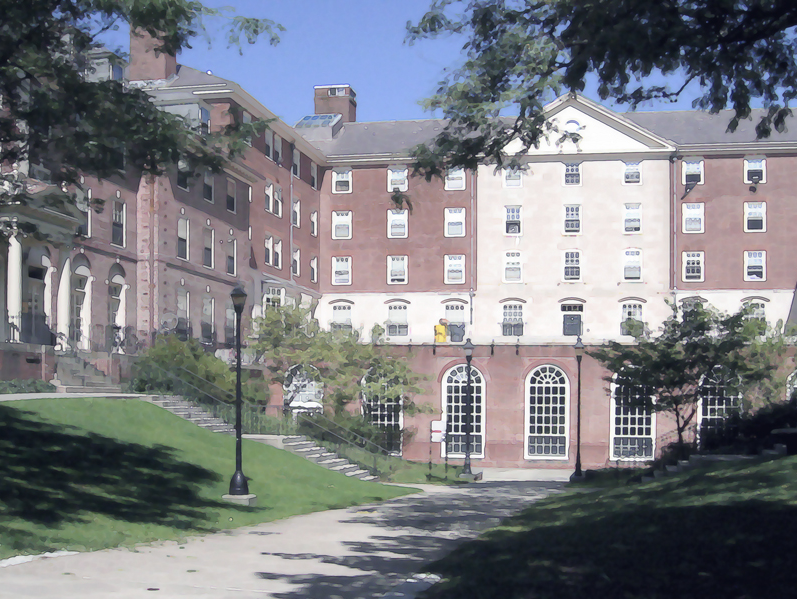 Disability: What got you accepted into this school? This is option for only two people. After the first two, everyone has to pick something. Dorm: Just put a "Yes" or "No" here. I'll pick out the room assignments for those that wish for their character to stay at one of the dorms. Appearance: What do you look like? Keep in mind that most of the time a school uniform is worn, so I will allow just simple pictures. Personality: I don't want everyone to be traumatized by their past and shun human society. Everyone has different ways to cope with what happened to them. Just look at Emi if you've played the game and compare her to Hanako. Bio: Optional. I don't really care about these, but it would be nice to see two or more paragraphs. - Reserved for my character.